Observers have watched with keen interest as Mahmoud Abbas took the politically risky, some say courageous, move to seek UN recognition of Palestine as a state. At the very center of Abbas’ polarizing decision is the International Criminal Court and the possibility of opening an investigation into alleged crimes in Palestine. To think that the ICC would be so integral a player in the challenge of peace in the Middle East would have been unimaginable just a few short years ago. Just as remarkable is the demonstrated centrality of statehood in the pursuit of global justice, something that surely keeps the dreamers of international criminal justice up at night. It really wasn’t supposed to go this way. The ICC was meant to be a shining star in the liberal cosmopolitan trajectory which instructed the peoples of the world that no one could hide behind state sovereignty anymore. What mattered in global politics and ethics wasn’t still supposed to be states over all else. Slowly, but surely, the post-WWII global conscience was intended to wither away the rigidity of statehood as the primary unit of international politics and replace it with “the human”. The most important association was no longer supposed to be a state or a territory or religion. These were to be secondary, displaced by a “consciousness of being a citizen of the world, whatever other affiliations we may have.” Citizenship of state was to become secondary to citizenship of a “worldwide community of human beings” who shared a universal ethical code and which represented and protected all those who counted themselves as human. We were to be universal individuals. Rights were ours as individual people but shared by all. These individual rights were to be protected but we were to care about them everywhere. It is out of this liberal cosmopolitan trajectory that we have a human rights regime, a doctrine of Responsibility to Protect and the International Criminal Court. It is in the name of our common, universal citizenship in “humanity” that these institutions and regimes were established. To return to the case of Palestine, what is remarkable is the centrality of statehood, and by extension state sovereignty, in the capacity of Palestinians to pursue international justice. Surely, to many readers this will be unsurprising – the ICC’s Rome Statute, after all, was negotiated by states. Nations only come under the Court’s jurisdiction if they refer themselves, are referred to the Court by the member states of the UN Security Council or ratify the Statute. In other words, the Court continues to privilege statehood, at most marking a negotiation between state politics and the liberal cosmopolitan protection of human rights. However, with the case of Palestine the importance of the state-based power-politics has come only more forcefully into light. 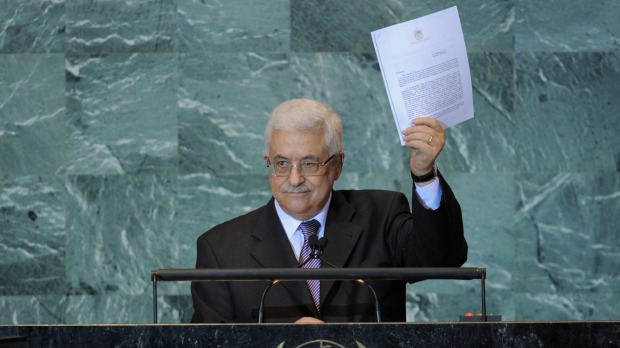 In 2009, Palestine filed an official declaration at the Court recognizing its jurisdiction. 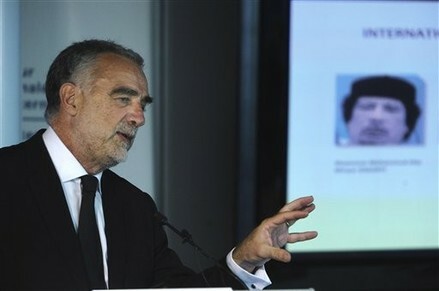 However, despite having accepted arguments on the question of Palestinian statehood, ICC Prosecutor Luis Moreno-Ocampo has simply decided to sit on the case. There are those who argue that the US, whose relationship with the ICC has moved from outright hostility to open engagement, has quietly instructed Moreno-Ocampo not to proceed on the file. 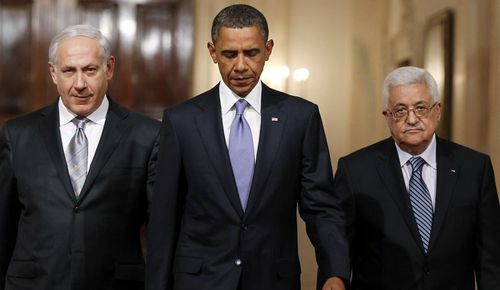 It is hard to dismiss such claims – the US would have much to lose with yet another international actor complicating peace in the Middle East and it would be a shock to no one if they had quietly expressed such sentiments to the Court. Further, how can it possibly take two years for the Office of the Prosecutor (OTP) to come to a verdict as to whether it can open an investigation in Palestine or not? It is possible that the Office of the Prosecutor deemed deciding on the issue and potentially rocking the boat to be too costly. If this is the case, however, then the ICC is practising some form of political pragmatism where it calculates that the only politically feasible action is to remain silent. Liberal cosmopolitanism is, in the end, an attractive political and moral trajectory. It may be the best we’ve got and this post is by no means intended to discard it. On the contrary, only by understanding the work that remains to be done can a truly ethical global community emerge, one that would allow all of those international criminal justice dreamers to sleep just fine. This entry was posted in Human Rights, International Criminal Court (ICC), Israel, Justice, Middle East, Palestine, Palestine and the ICC, United States. Bookmark the permalink.